The cost of education is of great concern to both students and parents. 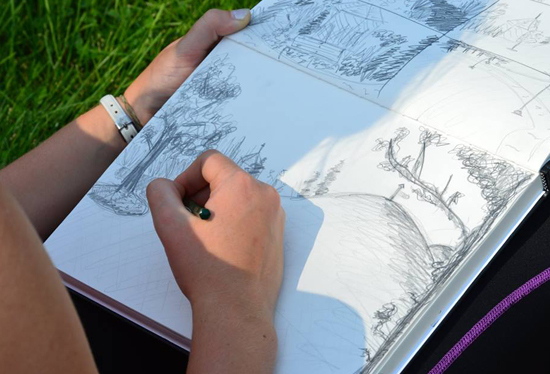 The following links to university-wide costs are provided to help you quickly estimate the cost of a degree in landscape architecture, by multiplying single-year costs by the number of years required to complete your education (five years for the BLA, three years for the MLA). View information on costs for undergraduate and graduate tuition, housing and dining. Please note that costs for housing and dining are university-provided options. Off-campus housing and meals may be higher or lower than university options. Costs for textbooks and reading materials varies widely between semesters; generally the lower years in the program require more textbooks, with associated higher costs. Studio classes often have fewer textbooks than seminars, lectures or general education courses. Prior to registration, textbooks and their associated costs are listed by department and course on the University Book Store textbook information page. Roughly speaking, costs for new books each semester would be about $100-500; this price can be reduced somewhat by purchasing used books or renting books. A poll of current students indicate they usually plan to spend $100 on books each semester. Details of pricing for textbooks from the ISU bookstore for a typical semester in the program (fall of third year for LA 301, LA 381, LA 373, NREM 120) are provided as an example of a typical semester’s cost. In addition to textbooks, studio classes usually require the purchase of drawing and modeling supplies. Students should plan on an initial outlay of about $200-400 in years one and two of the program for one-time purchases that will be used throughout the course of study (such as a portfolio, Mayline parallel ruler, engineer’s and architect’s scales, triangles, circle templates, rulers, pencil sets, sharpeners, etc). In addition, students should plan to spend approximately $200 each semester on expendable supplies such as sketchbooks, tracing paper, pencils, chipboard, clay, markers, etc. As students move up in the program, costs for expendable supplies generally are replaced by costs for large-format printing and laser cutting. We recommend that students delay purchasing a computer until they enter the professional program (after the end of their first year at Iowa State). Computers usually require sufficient RAM and video capabilities to run software such as AutoCAD and Adobe Creative Suite. Students can either purchase their own computer or participate in the college’s laptop program. 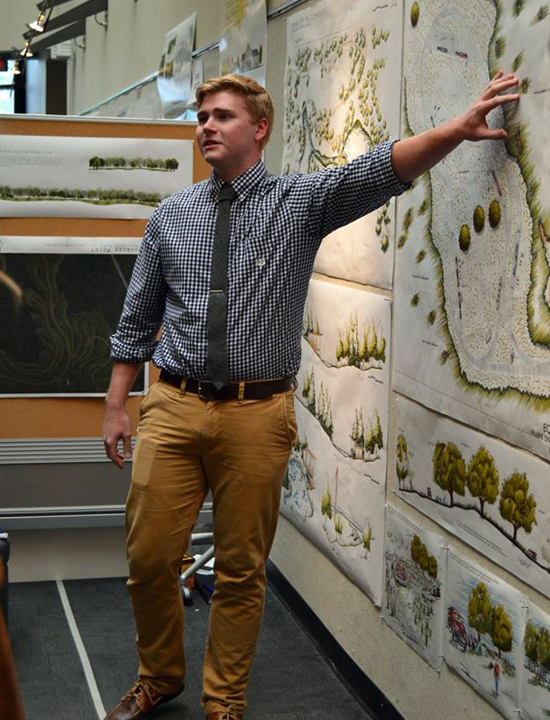 Field study is an important part of the landscape architecture program. We believe strongly in hands-on education and schedule trips to local and national sites in most studio classes. These trips are financed by course fees, which are published during the registration period of each semester. In general, course fees for studios range between $25 and $750 per semester, but average around $250. Second-year students, however, participate in a semester-long field study course (Traveling Savanna Studio) with six weeks of travel that costs $2,100. A complete list of all departmental course fees for the 2013-2014 school year is provided here as a means of estimating the cost of travel throughout the time spent in the program.